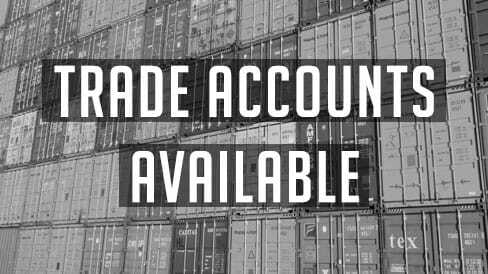 Whether you're a government department, small backstreet garage who doesn't want to hold a stock of batteries or even a large operation requiring weekly pallet deliveries we can tailor a trade account solution to your needs. 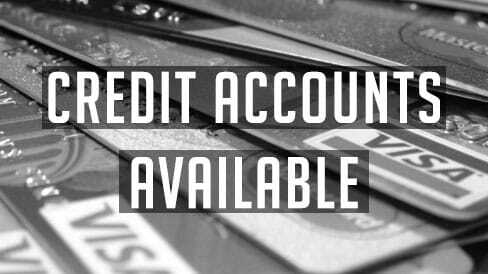 We happily accept Purchase Orders (POs) from any government agency without the need for completing a credit account application. We supply various NHS departments, primary schools, high schools and Universities on a daily basis with paymenton a 30 day EOM basis. We'll deal direct with your finance department. The vast majority of products on the website are held in stock and can be despatched for next day delivery. Simply send your PO to us before 2PM and we should be able to have your goods to you the next working day. To order, please contact us and we'll provide you with details on where to send your purchase order. Are you looking to join the most exciting battery revolution in the UK? Then look no further. Tayna Trade has been set up to provide our trade partners with the lowest prices across our expanding range. Our prices are constantly updated using the latest software, ensuring you won't find a better deal, anywhere. Tayna Trade Batteries is able to able to cut out the middleman and offer you trade prices straight from the factory. Being one of the largest battery importers in the UK as well as a direct distributor for many top brands, our prices exclude the salesman's cut! This business model has helped our customers compete and grow, in a developing market of increasingly savvy customers and unscrupulous brand devaluation. Tayna Trade Batteries will work with your business, offering top class product, first class service and a technical backing which is second to none. We are able to provide unique and bespoke services depending on your needs. Anything you require to impress your customers or to fit into your working situation, Tayna Trade will work for you, to provide. It's easy and simple to set up. Just contact us and we will get you buying cheaper and smarter, straight away. This customer came to us as he was having to order from his local battery dealer in quantities of 10+ and was finding that the batteries were standing on his shelf for long periods before being used and he was having to pay for the batteries before he was able to sell them. We devised a solution for him where we supplied him wholesale lawn mower batteries on an individiual next day basis, so he'd take in a mower for servicing, realise it needs a new battery and we'd send it to him for delivery the following day ready for immediate fitment. No holding stock - no batteries sitting on his shelf - and no paying for batteries before they're sold on. This customer came to us after he decided to look at the long standing relationship he'd had with his current battery supplier. Being located in central London he was paying huge prices for batteries from the local battery dealer. The customer realised that our standard website car battery prices were significantly cheaper than he had been paying his local supplier for years! As the customer uses aproximately 20 batteries per month, he orders monthly and we supply on a next day basis at a considerable discount compared to his local dealer.